Danny Williams has withdrawn from his British Heavyweight title defense against Derek Chisora at Wembley Arena on February 13 citing that he has a viral infection. Promoter Frank is now in talks with two boxers who hold wins over Williams to face Chisora instead on the huge Night of the Champions show. 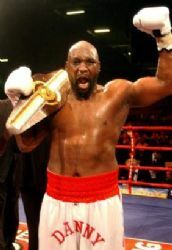 Williams caused confusion last week when after accepting to fight Chisora – who replaced the injured Sam Sexton – he then failed to turn up at a press conference to announce the Chisora bout, leaving his manager Micky Helliet to say that Williams “needed some time to get his head around the change.” However, Williams confirmed last Friday that he was going ahead with the fight against the unbeaten puncher. “It’s very disappointing and frustrating after last week’s antics for Danny to once again pull out of the fight leaving Derek in the lurch,” said Warren.